The winter months commonly bring with them a number of nasty and annoying illnesses and you might well find yourself coughing and spluttering and developing a soreness in your throat. Of course, sore throats are not limited exclusively to the winter months and can occur at any time of the year. A sore throat also called pharyngitis or strep throat is usually the result of a bacterial infection or a viral infection like the common cold. A sore throat is just one of the symptoms of the infection; other symptoms will depend on the cause of your sore throat. A common sore throat is caused by a virus and is often accompanied by a cough, a runny nose, headache and a high temperature. Bacterial sore throats are more severe and fast acting. You may also experience swollen tonsils, tender neck glands and white spots in your throat region. Both types of sore throat are highly contagious and are caught from someone who is already infected. Children are especially prone to developing sore throats as their immunity to bacteria and viruses has not built up sufficiently. Less frequently, a sore throat is not caused by bacteria or a virus but by non-infectious causes such as smoking, alcohol or hay fever. More often than not, your sore throat will not be serious and can be treated with over the counter medications such as ibuprofen. There is however a more wholesome and natural remedy for your symptoms. A variety of essential oils have antibacterial and antiviral qualities which makes them a great alternative option for sore throat and cold treatments. Peppermint is used successfully to cure a variety of different ailments from headaches to stress and anxiety relief but it is also an effective remedy for sore throats. Peppermint oil contains menthol which is commonly used in a number of pharmaceutical products prescribed to relieve sore throat and cold symptoms. Menthol is found in chest rubs, lozenges and syrups so why not make use of this ingredient from a more natural sauce. How to Use Peppermint Oil? You can add a few drops of peppermint essential oil to a diffuser machine. You can achieve a similar effect by adding two or three drops of peppermint oil to a sink full of steaming water. Fill the sink with hot water and cover your head with a towel. Bend over the sink and inhale deeply for five minutes, this method will also help with any congestion or cold symptoms you might have. Peppermint has a pleasant flavor making it an ideal oil to gargle. Add a few drops of high quality peppermint oil to a small shot glass of warm water and gargle for at least five minutes. You could also rub a few drops of peppermint oil into your throat and chest areas. Depending on the strength of your oil, you might need to dilute it with water first. Aside from peppermint oil, there are a variety of other essential oils which are recommended for treating sore throat symptoms. Myrrh oil has been used for thousands of years for a variety of health issues. It was especially popular in ancient civilizations, the ancient Chinese cultures recognized its medicinal properties and it was used in Egypt to embalm their pharaohs as well as using it as a treatment for herpes and allergies. Myrrh oil is extracted from the sap of the Commiphora myrrha tree and has a rich, smoky aroma. Among its many uses myrrh oil has antiviral and anti-inflammatory properties making it an ideal oil for treating sore throats and other cold symptoms. How to Use Myrrh Oil? You can use a diffuser machine or add a few drops to a steaming sink full of water, cover your head with a towel, and inhale the steam deeply for five or so minutes. Take care not to burn your skin. Either apply a few drops of myrrh oil to your skin directly or dilute it with another essential oil such as lavender, sandalwood or any spice oil. You can add a few drops of myrrh oil to a shot glass of water and gargle it for between 5 and ten minutes to help relieve your sore throat. This aromatic citrus oil is traditionally used as a food flavoring agent but did you know that it had so many medicinal uses which includes treatment for viral infections such as colds, coughs and even sore throats? How to use Lime Oil? 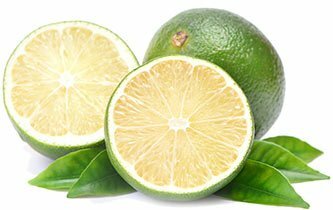 There are a variety of ways to use lime oil depending on the nature of your illness. For colds and sore throats, it can be inhaled in the same way as peppermint oil by adding it to a steaming bowl or sink full of water. Lime oil can also be applied directly to your chest and throat areas when diluted with another type of oil like olive or coconut oil. Like myrrh, oregano has long been used as a treatment for various physical ailments. The ancient Greek and Roman civilizations were well aware of its medicinal properties and revered it as a symbol of joy. The literal translation of oregano from the Greek language is ‘joy of the mountain’. Oregano essential oil has anti-bacterial and antiviral properties and has a number of medicinal uses including sore throat and cold treatment. You can gargle it by adding a drop of oregano oil to two drops of lemon oil and mixing it into a small glass of warm water. You can also apply oregano oil directly to your skin or you can ingest it. Oregano oil is too strong to use undiluted and you should dilute it with water or with some form of carrier oil such as coconut or olive oil. Experts recommend that you dilute the oregano oil to a ratio of one part oregano oil to three parts of the carrier oil. Caution: Oregano oil is not recommended for infants, children or pregnant women. 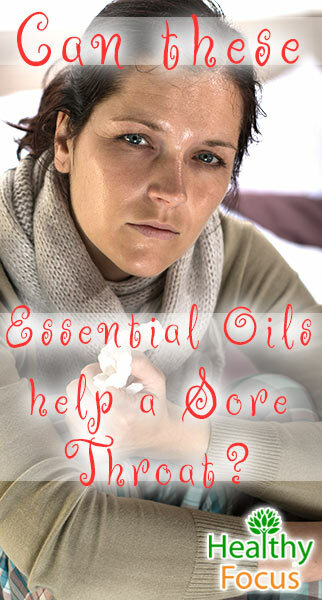 Other essential oils that can be used to remedy sore throats and cold symptoms are lavender essential oil, lemon oil, sandalwood, eucalyptus and thyme. Most sore throats are not likely to be serious and the soreness should settle within a week to ten days. According to the UK National Health Service website you should however see a doctor if any of the following apply.